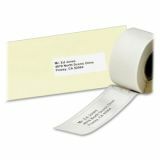 Durable thermal labels are scratch-resistant, smudge-free and resist water, dirt, dust and grease. 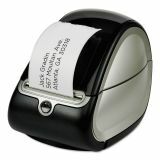 Compatible with select DYMO®, Seiko®, Zebra®, CoStar® and Pitney Bowes® label printers and others. "Use by date" indicated on package to guarantee print quality to date listed. Avery Thermal Printer Shipping Labels, 2 1/8 x 4, White, 140/Roll, 1 Roll - Multipurpose thermal labels that stick and stay will make organizing and locating your possessions a little easier. 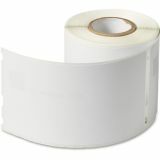 Specially designed for use with select models of the Seiko Instruments Smart Label Printer and Dymo LabelWriter Printers, these customizable labels come out looking polished and professional. 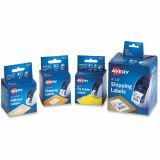 High-quality labels are compatible with Dymo LabelWriter 450 Twin Turbo, 4XL, 450 Duo, 450 Turbo, 450 and Seiko Smart Label Printer 450, 440, 620, 650 and 650SE. 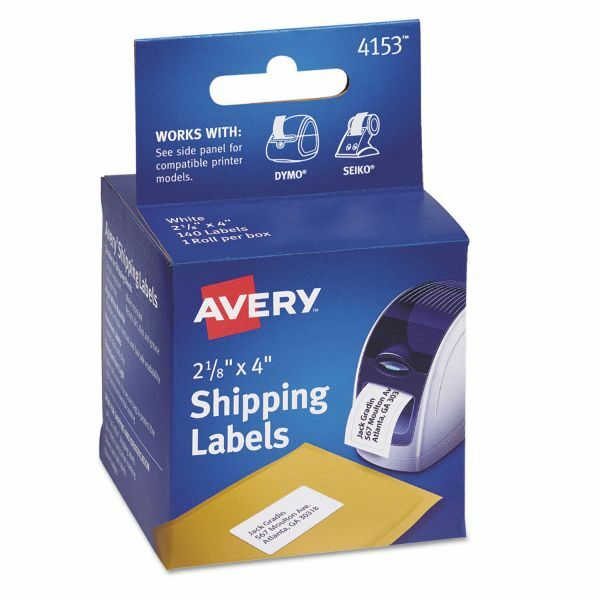 Use for mailing, shipping, filing, name badges or identification. Labels feature permanent adhesive. Roll format with a 1" core.